Home » Posts » Blogs » Can Sunlight Reduce The Risk Of Myopia? Can Sunlight Reduce The Risk Of Myopia? We are commonly told to avoid sunlight, that too much is not good for us, but is this advice overblown? Could sunlight actually benefit our eyes and reduce the risk of myopia? 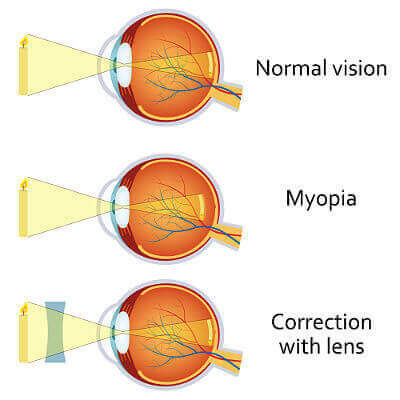 Myopia is the official name given to one of the most prevalent eye conditions in the World. More commonly known as short-sightedness, it affects up to 20 million people in the UK alone, and can range from mild to severely debilitating. It’s caused when the eye overgrows, and means that light focuses in front of the retina, rather than on the retina itself. The end result is a blurring in long distance vision. As people experience differing degrees of myopia, a sliding severity scale is used based on the correction of vision needed. -0.25 to -3.00 is classed as mild myopia. -3.25 to -6.00 is classed as moderate. -6.00 and above is classed as a high level of myopia. Depending on the level of vision impairment, the condition can be a minor or major problem for those who suffer from it. In severe cases it can cause significant harm to a persons quality of life. How can Myopia be treated? Thankfully, a number of treatment options are available and it can be rectified on either a temporary or permanent basis. Temporary solutions include wearing glasses or contact lenses. However, the benefit is only seen when wearing either optical device. These options also tend to require a high level of cleanliness and maintenance, especially when using daily contact lenses. If good eye hydration and lens cleaning are ignored, fungal eye infections can often occur. 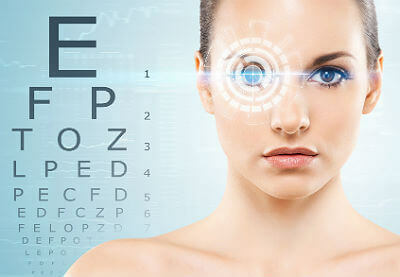 Permanent methods of correction are laser eye surgery or lens implants. At AVC, we provide both these procedures as they have excellent results and are more cost-effective over the long term. Increasing numbers of people are choosing to have their myopia treated by using these techniques. The LASIK procedure is the most popular method of laser surgery in use today. It reshapes the cornea by using a laser beam, thus enabling light to focus on the retina more accurately. An improvement in vision occurs in 96% of cases nationwide. Our clinic on Harley Street is proud to say that 100% of patients leave with at least driving standard eyesight! Lens implants are a much newer technique which can have benefits for people with severe shortsightedness. The surgeon permanently implants an artificial lens into the eye. Depending on your age, the natural lens may also stay in place or be removed. So how does sunlight help Myopia? This is where it gets interesting. Could natural light exposure play a major role in preventing myopia? The science seems to say yes. Over the last twenty years, there have been numerous research studies that have tried to discover whether sunlight reduces the risk of myopia. A growing body of evidence suggests a positive link – that sunlight and UV rays actually help to lower the chances of short-sightedness in children. In the largest analysis to date, a total of 23 studies were assessed by scientists from the University of Cambridge. They found that for each hour spent outdoors per week, the risk of myopia was reduced by 2% on average! A popular theory is that the sun’s ultraviolet light elicits the release of dopamine (a known ocular growth inhibitor), resulting in a more ‘normal’ growth of the eyes. Children who spend a lot of time indoors do not produce the same levels of dopamine, and consequently, myopia occurs. However, the dopamine connection is not universally accepted. Separate research suggests that Vitamin D has an important role. 946 people in Australia had their serum Vitamin D concentrations analysed, along with their degree of myopia. The results were significant; Vitamin D deficiency increased the chances of individuals developing short-sightedness. These findings were given further credibility when a Korean study found similar conclusions. This time 2038 adolescents between the ages of 13 and 18 had their blood levels of Vitamin D checked. Again, low serum Vitamin D was associated with high levels of myopia. The most Vitamin D deficient children had the most severe eye issues. 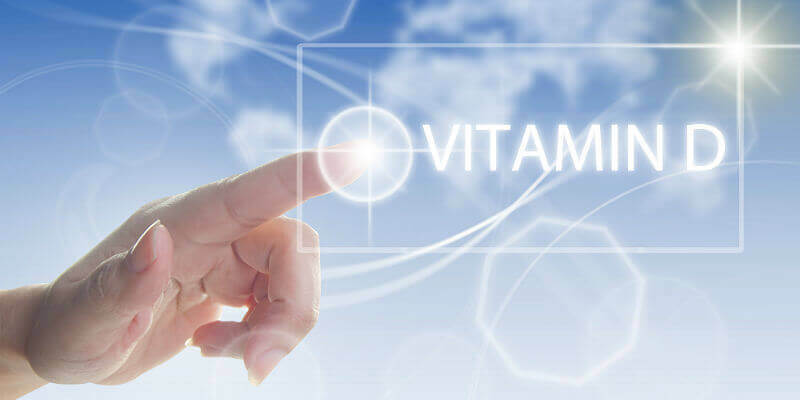 Will Vitamin D supplementation help reduce risk? Due to the conflicting viewpoints, it is not possible to recommend Vitamin D supplementation to prevent myopia. Indeed, another recent study found no link between the two. Although it is now generally accepted that sunlight is beneficial for eye health, Vitamin D supplements are not an alternative solution. While researchers debate just how the protective effects occur, spending more time outdoors and less indoors is the cheapest and most effective action to take. Another factor to consider is the quality of Vitamin D supplements. Standards vary wildly between different manufacturers, while being outdoors is a reliable way to get a sufficient ‘dose’. Lazing away in the sun hoping for great eyesight is a bad idea. Skin cancer is a real and growing risk throughout the World. Research shows that fifteen minutes of sun exposure per day are enough to normalise Vitamin D levels, and let the body absorb UVB rays without them being harmful. If more time is spent outdoors, always wear sun protection on your most exposed areas. Going without sunglasses is not needed when trying to boost your Vitamin D levels. Skin absorbs the sun’s rays without any need to expose your eyes directly. Sunglasses play an important role in protecting your eyes, particularly on hot summer days! If you would like to find out more about any of the vision correction treatments on offer at Advanced Vision Care and what they can do for your eyesight, then why not call AVC TODAY on 0800 652 4878 and request your free information pack or book your consultation to find out how we can help you.